7digital What we said: Fusing futuristic electronics and post-punk basslines with fluid guitar work and traditional Congolese rhythms, Mbongwana Star excel at marrying ostensibly-disparate sounds and styles. The DRC-based band’s progressive approach to genre really shouldn’t come as a surprise: their diverse line-up includes Irish producer Liam Farrell (famed for his background in rock bands and hip hop production, plus his recent work with Afrobeat legend Tony Allen), and Coco Ngambali and Theo Nzonza (previously with Congolese reggae/R&B band Staff Benda Bilili). Even so, the septet show remarkable skill and imagination on their full-length debut, From Kinshasa. 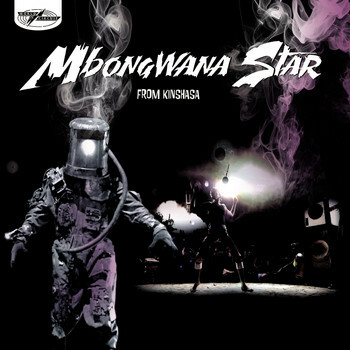 Head for the rippling ‘Malukayi’ first, which finds Konono Nº1 merging their trademark junk-funk sounds with Mbongwana Star's distortion-heavy production.